When you look for traces of Shanghai people in Hong Kong, a first place to check is North Point, which used to be labelled "Little Shanghai". 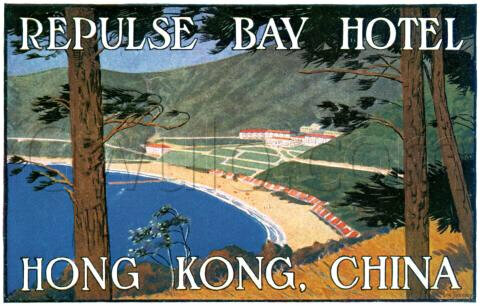 Another one is definitley Repulse Bay. The name of it comes from a battle, allegibly fought against pirates who stationned in the bay and were eventully expelled from it by the English Navy. Let us note, however, that its Chinese name is more informative as Chin Seui Waan means "Swallow Water Bay", in comparison with the nearby Sam Seui Waan or Deep Water Bay in English. The recent history of the bay is that of a leasure venue, refering to the creation in 1910 of the present bathing beach. It was first equiped with low-rises and straw shelters for swimmers but was progessively completed with more prestigious buildings. Developpers would target the wealthy clientele of the Peak and their guests, as well as well-at-ease Hong Kong visitors in search of some seaside coolness. 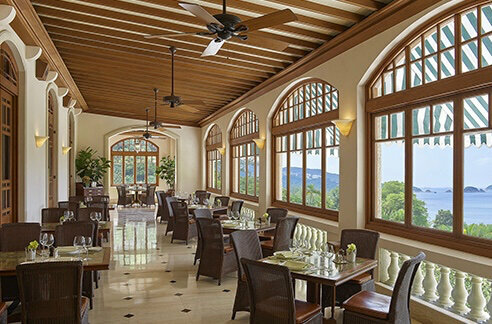 The most iconic venue was inaugurated in 1920 in the shape of a luxurious 84 suits hotel called The Repulse Bay Hotel and belonged to the Kadoorie family, later owners of the Peninsula. In 1935, the Lido was created on the East side of the Bay, offering changing booths, a restaurant and a dancing room. In his memoirs, Col. Muro-Faure would describe it with a bit of excitment: I had always liked the place because of its informality. You could eat your dinner, and dance and talk, in shorts, and so keep cool, as compared with the stricter etiquette of the Repulse Bay Hotel. Its immediate success among visitors soon led to the opening of a floating version of it, also called "Lady Lido". Among the other striking buildings of the time was the Eucliffe, a kind of medieval castle with watch tower, defense walls and all, the 1933 erected property of Eu Tong Sen, a Chinese merchant from Malaisia. This curious estate dominated the view from Deep Water Bay road during more than fifty years (video). Always catching new trends, the wealthy Chinese and Shanghai elites in particular came to Repulse Bay. Starting from 1937, the Japanese had invaded China and rich Chinese were looking for a safe retreat. History repeated itself after 1950 when the Communists became in control of mainland. A 1953 guide map gives the following comment: Scenically, Hongkong's beaches are among the most beautiful in the world, and Repulse Bay, which is certainly the most popular with the Chinese, has more than once been likened to Hawaii's world-famous Waikiki. 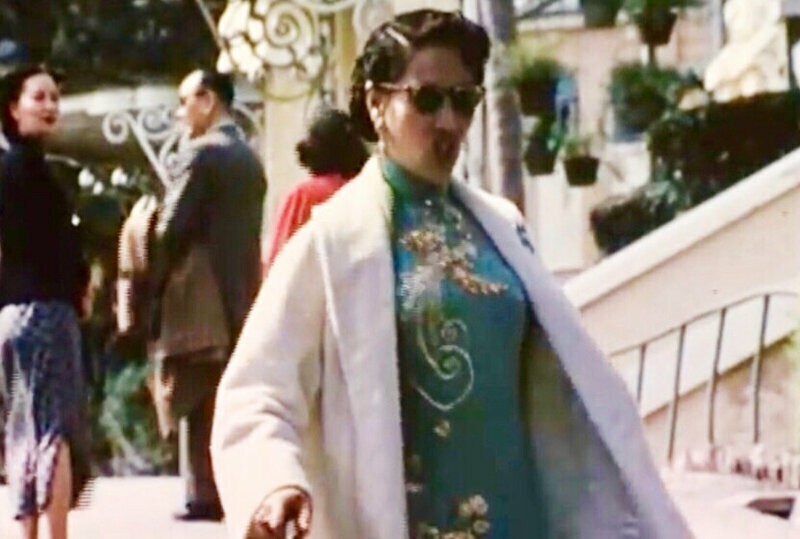 Footages of these years show elegant Chinese, exhibiting colourful cheongsam, the Cantonese name for the Shanghai-originated qipao, outside the Repulse Bay Hotel or playing Mah-jong games at the beach. The Repulse Bay Hotel had something of the French Negresco Palace when Russian nobles or Victorian families made the South of France the place to see and to be seen. Shanghai elites played the same role in Repulse Bay (video)! More than anyone else, Eileen Chang, early supporter of the "modeng nü" idea (modern woman), contributed to the fame of Repulse Bay among Shanghainese. She actually chose the prestigious Repulse Bay Hotel as the main set for the selfish romance of the two characters Fan Liuyuan and Bai Liusu of her world critics praised novel "Lost in a Fallen City" (video). The story was probably inspired by a couple of friends of her mother who stayed there. Eileen Chang was trapped herself in Hongkong during her studying at the University after the Japanese had invaded the city in December 1941. During the first phase of the sino-japanese conflict, Repulse Bay was visited by artists coming from Shanghai to seek refuge there. Those included the scandalous couple formed by American writer Emily Hahn and the poet Shao Xunmei, who came with other supporters of the "Tian Hsia" (the World) project, a magazine aiming at promoting the best of Western and Asian artistic influences. 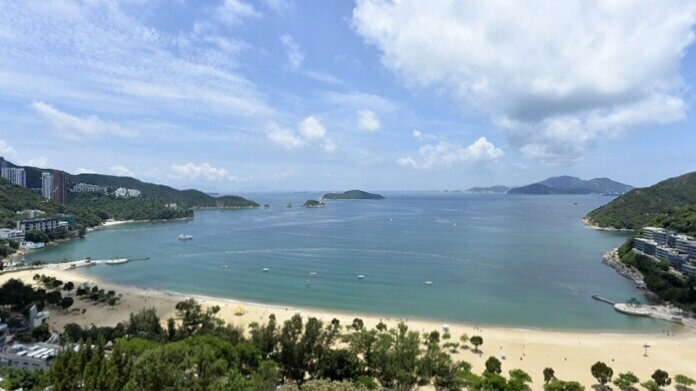 Writer Han Suyin, born to a Chinese father and an English mother, equally fell in love with Repulse Bay. Her novel "A many Splendored Thing" relates her love affair with the Australian journalist Ian Morisson, who was married at the time. This unconventional story was put on screen by Hollywood in 1955 and includes some of the most passionate love scenes taking place in Repulse Bay (video). The main character William Holden, who played the journalist, used to stay at the Repulse Bay Hotel during the shooting (later, he also played the main part in The World of Suzie Wong). On 1950s films, we frequently spot athletic and suntanned bodies at the beach, which is a sign of the assumed modernity of the place. However, two worlds coexist as there are often traditional junks in the background. Those were used by fishermen, whereas Westerners practiced their yachting skills at the local base of the Royal Yacht Club. Today, the only boats anchored in Repulse Bay exhibit powerful engines and are almost entirely owned and manned by Chinese! The property building craziness of the 1980s transformed the bay into a urbanized beach resort, the Repulse Bay Hotel was torn down and replaced by the "building with a hole", as the Chinese often mock it. Surprizingly, a decision was made in 2012 to rebuild a copy of the famous palace's restaurant. On the terrace of the Repulse Bay, you can once again dream of yourself as a Hollywood star or a wealthy Shanghainese in exile. Coming from Shanghai myself and a true litterature lover, I actually feel a right to do so, ha ha! Great post that brings back so many memories of my life in Hong Kong, post WWII.